WHAT an utter, utter shambles. And still Mrs May, the architect of a mess that you thought could not get worse but which invariably and horribly does by the day, does not see it as her duty to resign. How many headlines have there been assuming or predicting her downfall as here, here, and here, all of which has she survived? No wonder she is so confident about her immovability. Yesterday the Telegraph, perhaps wisely, simply logged the key steps to her (assumed) downfall, ones I suspect Mrs May herself regards as her very own stations of the cross – any one of which would have seen curtains for any PM in the past. Lame duck is hardly the appropriate metaphor for a PM who knowingly presides over a Government that has rescinded its own Brexit policy in favour of its determination by a rogue remainer Parliament; who ignores her now rogue cabinet from which any semblance of collective responsibility has evaporated – Philip Hammond’s barely disguised call for a second referendum being but the latest example – and yet still does not demand her resignation. 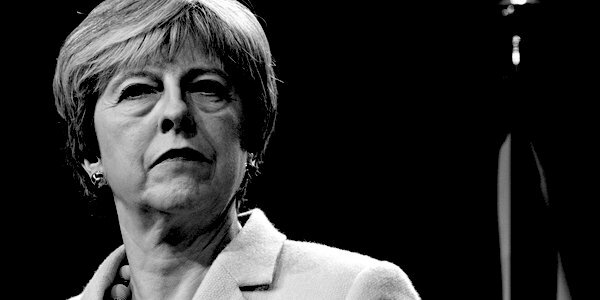 Perversely, having a grassroots party in open rebellion, senior Tories turning on each other like rats in a cage – a former party chairman helpfully discrediting her most likely popular contender and a chancellor who chooses to disparage and mock her possible successors – most likely suits her purpose, one that Caroline Bell sets out today in TCW here. Autocrats thrive on the confusion they sow. Meanwhile the Conservative Party’s self-immolation is turning into a script worthy of a Jacobean tragedy as it fails to unite either to oust the author of its demise or to condemn the increasingly insane David Lammy’s favourite Leftist game of smearing anyone who doesn’t agree with him as a Nazi, an honour he accorded Jacob Rees-Mogg and Boris Johnson. We are not holding our breath for Sir Patrick McLoughlin to denounce this slander on his colleagues.